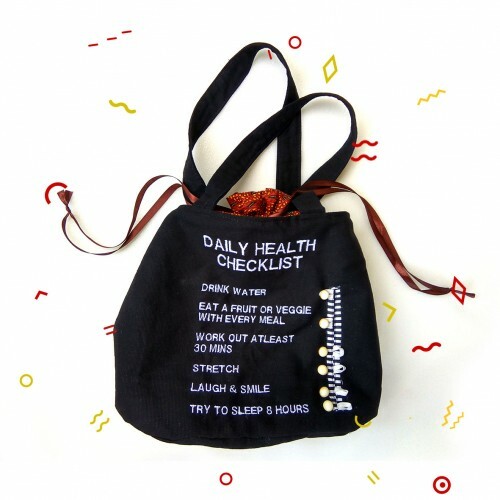 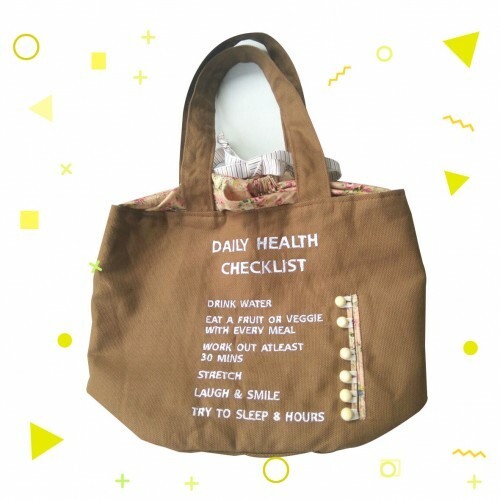 Lunch bag for healthy lifestyle checklist. Canvas, cotton, embroidery, cute button. 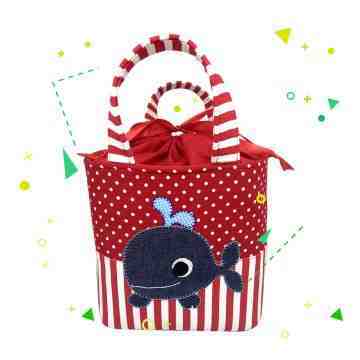 COMFORTABLE AND EASY TO CARRY: A wonderful lunch tote bag for girls and women will always take into consideration not only the need of carrying a bag but also of looking fashionable. 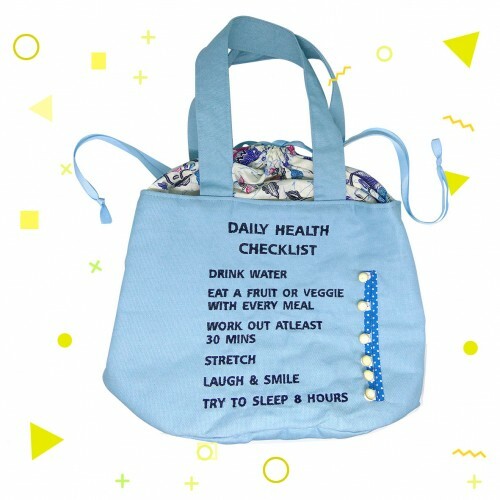 This bag is extremely lightweight. SUPER DURABILITY: The lunch tote bag is suitable to carry your lunch to the office, park or somewhere else. 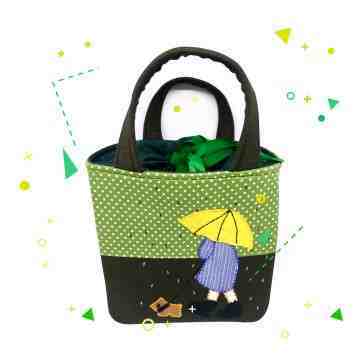 Its classic handles, and also the fabrics provide long durability so you won’t have troubles using it as many times as you like. 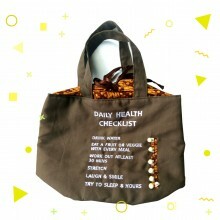 This lunch bag is foldable so it will be easier for you to take it on your trips and holidays. 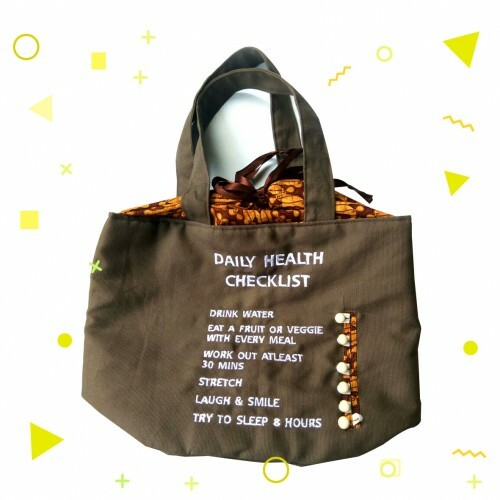 STYLISH DESIGN: This fashionable lunch tote bag comes in many colors and it’s easy to match with any casual outfit so it can be used when going to work, to the beach, pool, and park or even when visiting your dear friends, being perfect for a fun and relaxing day.